My second mini session from the Christmas season and BOY was it cold! I was trying to shoot with them and warm myself up so much that I THINK my fingers were numb, haha. Devon & Wendy are the sweetest couple ever and are very photogenic, whether they think so or not. 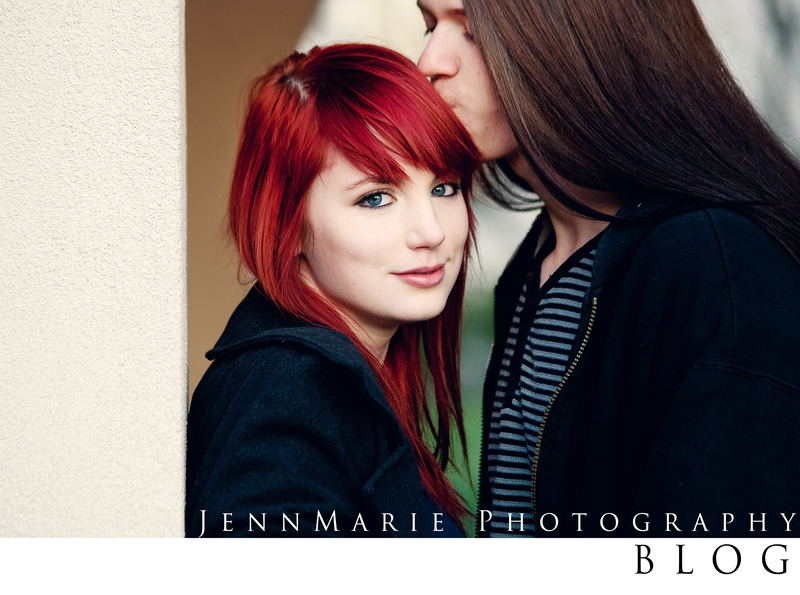 For me, they were easy to photograph, especially with Wendy’s flaming red hair. That made me extremely happy for her hair to add that pop of color that was needed on that cold December day, haha. I had a wedding that day and Wendy was ACTUALLY my second shooter/assistant! She was a ton of help and I hope she learned some things on that day! So needless to say, we were wore out! I think that by the time I was done with their session it was close to 5-6PM and I had started shooting at 9:30 that morning, so YEAH…I was kilt! lol. I always love hearing feedback on all photos and sessions that I post, so don’t hesitate to post below and share with your friends and family. Thanks! Also! If you’re interested in V-Day sessions and scheduling the new JMP – The Mini, read here.